only one album during their short tenure, but what an album it is. 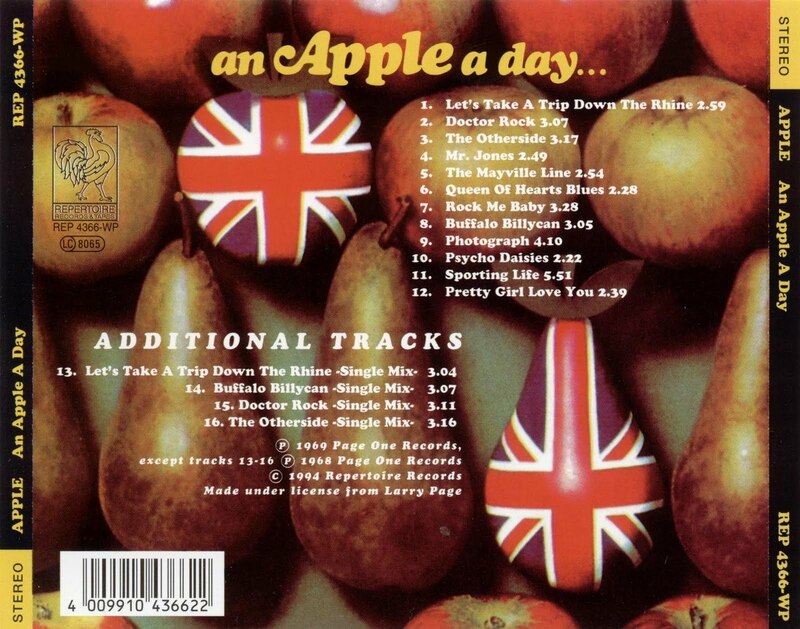 unadulterated classic British psychedelic rock. a Lovin' Spoonful Cover "Sporting Life." All three of these tracks contain exceptional guitar work from Ingram. Another standout is the b-side "Buffalo Billycan" again due to Ingram's work. thus Apple lasted only a short time, as has been the fate of so many other talented bands. 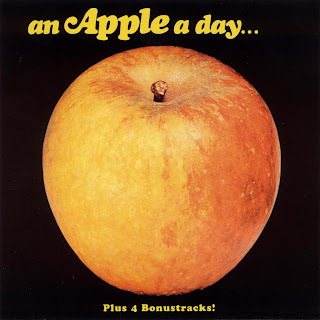 Thankfully "An Apple A Day" remains as proof positive of the band's tremendous talent. it is a prime example of how exciting guitar-driven psychedelic rock can be. And neither have I. Thanks anyway. click Download, scroll down - link is Save file to PC "Click Here"